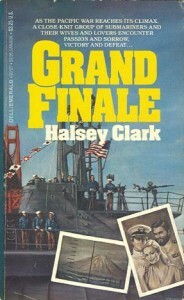 “GRAND FINALE” By Halsey Clark. 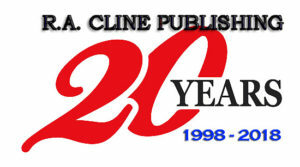 (Fiction) Fourth in the book series called “Periscope!” The final days of the Pacific war was a time of trial for the closely-bonded men of the Silent Service. For Commander Jack McCrary of the Chimera, it meant a dangerous mission with his former enemy, Ben Mount in the East China Sea. For Bob DuToin, skipper of the Killifish, it meant a hairbreadth sally into the Sea of Japan, impregnable bastion of the home islands of the Rising Sun. 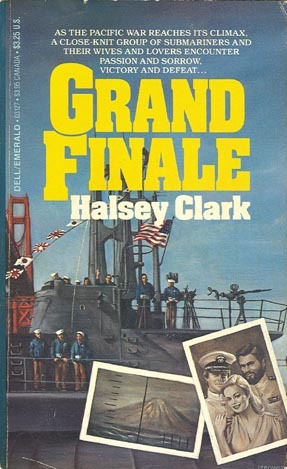 It was all due to come together in a tragic and triumphant “Grand Finale.” 1983 Paperback. 350 pages, no photos, maps or index.